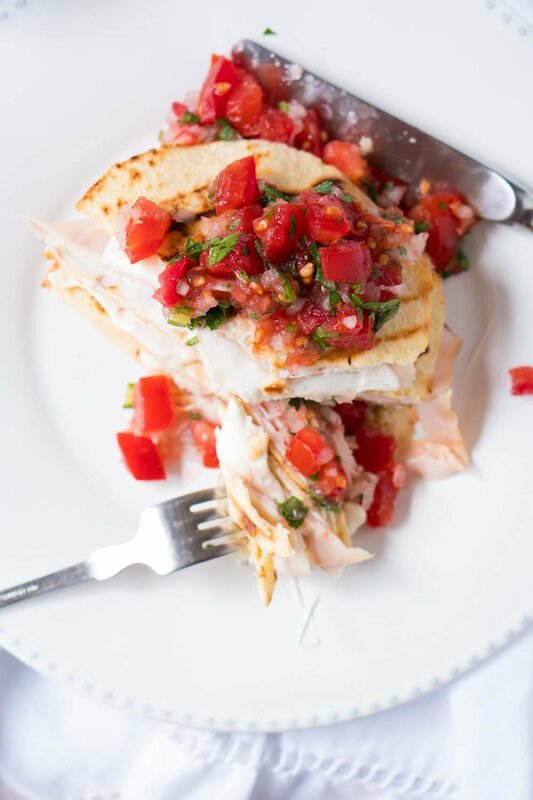 Odds are you’re already familiar with Mexican quesadillas: a folded tortilla (corn or flour), filled with cheese, cooked until melted and bubbly and topped with heaps of salsa. And you may have even thrown some ham along with the cheese at one time or another. But did you know these are in fact called Mexican sincronizadas? And if we’re getting specific, the tortilla in sincronizadas is never folded (as opposed to quesadillas). Rather, the ham and cheese is sandwiched between two (preferably) flour tortillas. A Mexican panini sorta thing. Which is why, if you’ve got one, we highly suggest using a panini press for these. Though tbh, as long as the cheese is melted and the tortillas lightly toasted, you’re good to go. It really is no wonder that sincronizadas are Mexico’s staple midnight snack. For real. 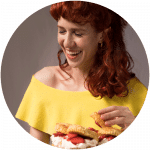 And ever since we nailed a suuuper pliable batch of grain free keto tortillas (with just 2g net carbs 💁🏿), we’ve been snacking and dining on keto sincronizadas quite a bit. 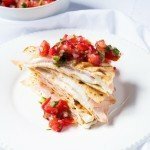 As for a grand total of 4g net carbs sans the salsa, they are an ideal lunch or quick meal. You need a salsa, trust us. 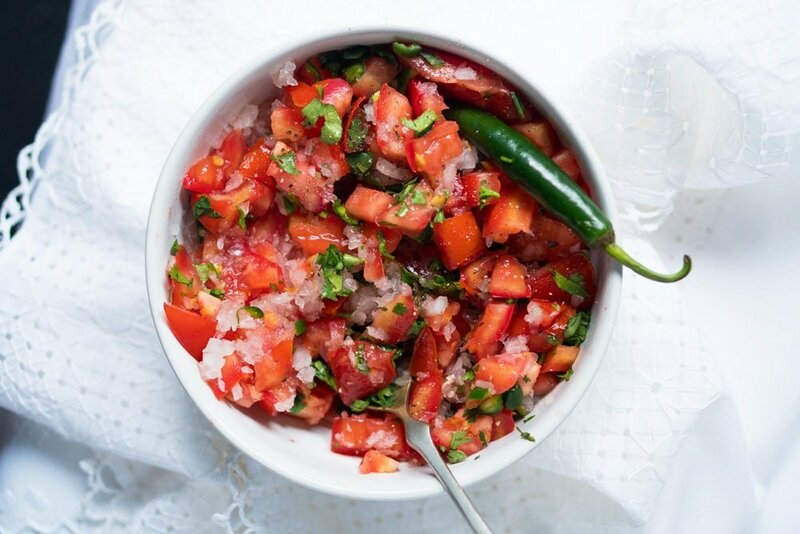 Our favorite is a simple pico de gallo salsa. Think fresh and crunchy tomatoes and onion, contrasting beautifully the cheesy and meaty sincronizadas. Though there really are no rules here. And anything from salsa verde (classic or avocado), guacamole, pickled chipotle or jalapeño, and even siracha work great as well. Traditional quesadillas and sincronizadas in Mexico are made with queso tipo Oaxaca, otherwise known as string cheese. But we find it can be hard to get a hold of a really good one. So we love subbing in with mozzarella (and do note we’re Mexican!). And in terms of mozzarella, if you can get hold of real mozzarella (i.e. an actual mozzarella di bufala round), it’s ideal. But in all seriousness. Just choose your favorite cheese. As long as it melts (think Gouda as well), you’ll be golden. 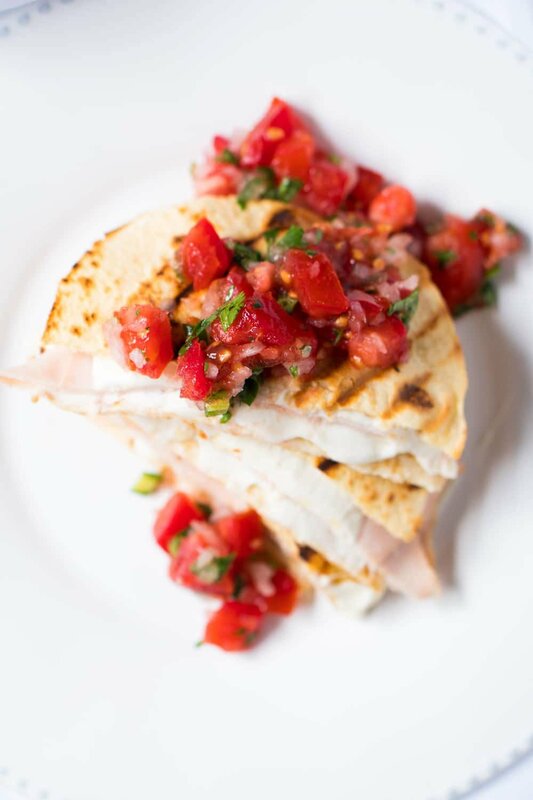 Mexican sincronizadas, otherwise known as ham & cheese quesadillas, make for an ideal lunch or quick meal. 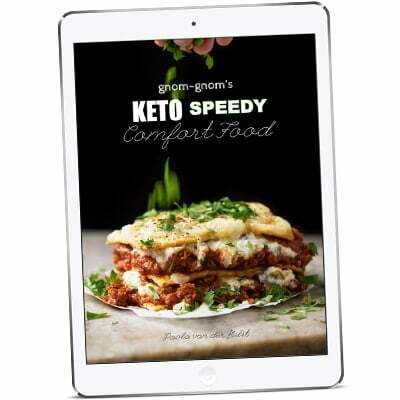 And these are both gluten free & keto! Make a batch of our grain free keto tortillas. Turn panini press on (or method of choice for broiling). To assemble sincronizadas, do a tortilla layer, then cheese, ham, cheese, and tortilla once again. Place in panini press and cook for 3-4 minutes, until cheese is fully melted and tortillas are lightly toasted. 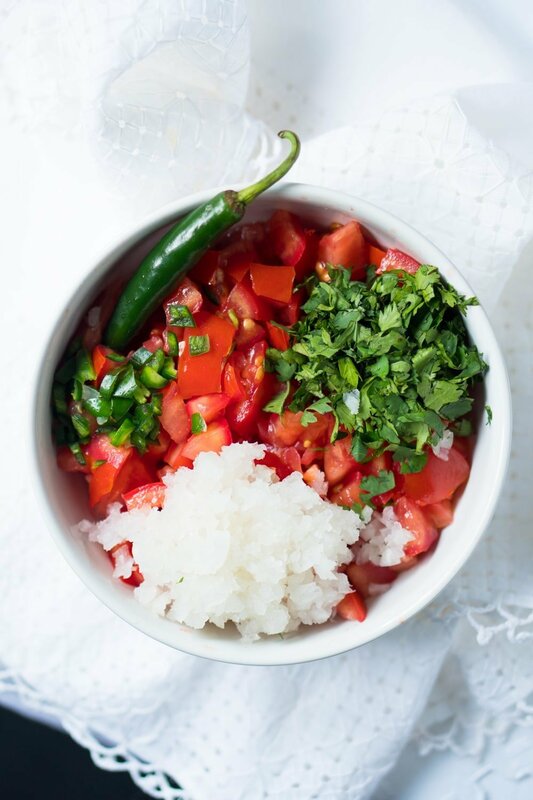 Serve right away with salsa of choice. Note that 1 sincronizada serving consists of 2 of our grain free keto tortillas (4g net carbs total) and the near carb-free filling. Hi this recipe calls for 2 rounds of cheese, but how big are the rounds? They come in different sizes? ?